Here’s a book that inspires the entrepreneur in your kids. Patrick loves fishing holes and his grandmother’s lemon meringue pie. When his fishing line snaps and he finds himself short on funds, he remembers his grandmother told him that just because he enjoys doing something doesn’t mean he can’t get paid for it too. This sets Patrick on a journey to turn his play into pay. 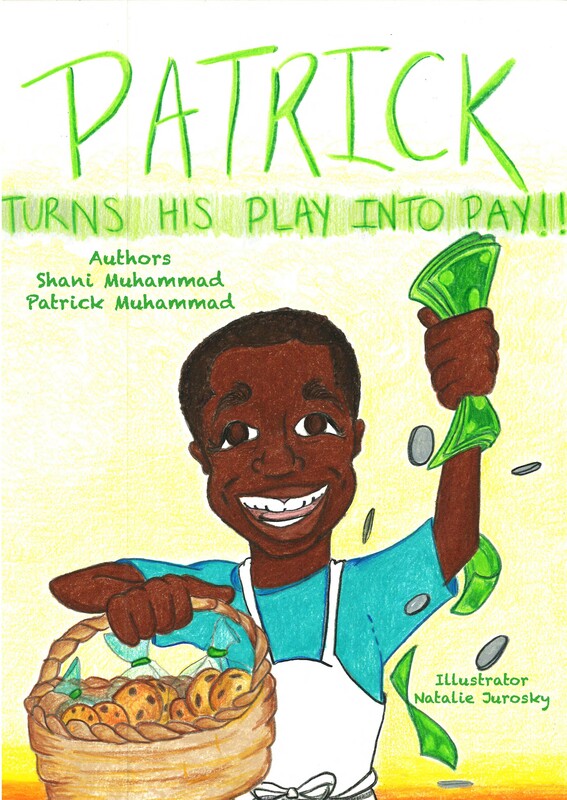 Patrick Turns His Play in to Pay by Shani Muhammad and Patrick Muhammad is a fun story that will encourage young people to turn their passion into something that can support them later on. It’s a great idea, so don’t be surprised if you see a few more lemonade stands out there this spring. I’m glad the authors are turning this into a series, because there is so much involved in this topic that this short story can only touch the surface of it. Proving that creating a rhyming story is a neat concept but not always easy to put into practice, the rhymes kind of took over this story and became a distraction. The character of Patrick is fun enough with out them, so I hope that style is abandoned in future books. Absolutely loved the artwork by Natalie Jurosky. It’s colorful, engaging, and expressive. Would love to see more from her. Patrick Turns His Play in to Pay will inspire your children to think of the future and all it can be. I received a copy of this book from the authors. This review contains my honest opinions, which I have not been compensated for in any way.